No matter which side of the political aisle you're on the (hopefully) peaceful transition of power is always exciting to watch and Mommy and I will be glued to the couch for all the festivities. With so much hoopla surrounding this historic day I asked Mommy what she knew about the former feline inhabitants of the White House, and she admitted that with the exception of Socks Clinton and President Bush's cats she didn't know a whole lot, so I asked her to help me do a little research so we could share a few of our favorite (and lesser known) stories today. We have to start with President Reagan. 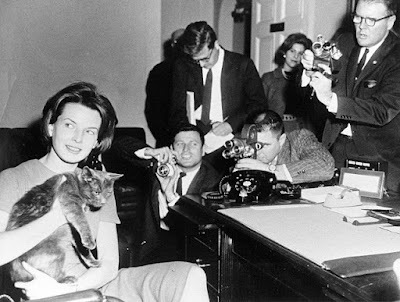 Although technically not White House cats (these two beauties lived at their California ranch), Ronald and Nancy had a pair of torties, Cleo and Sara! 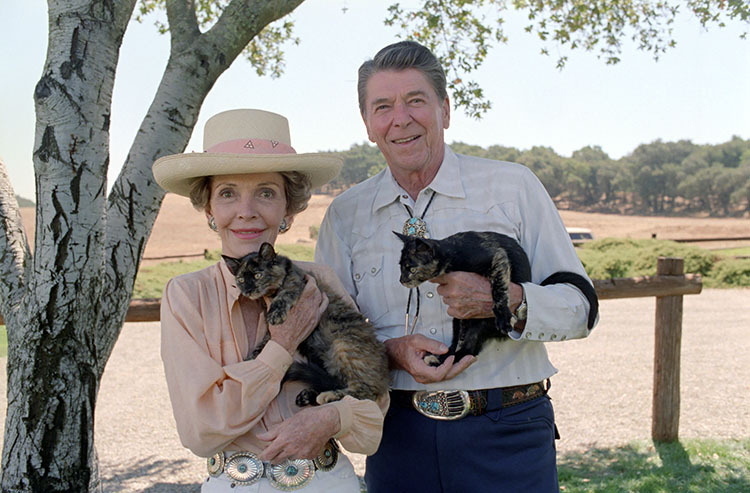 Apparently many cats lived at the Reagan ranch but they were photographed with the torties, so they must have been extra special! Our 16th President Abraham Lincoln was the first to bring a cat into the White House. He actually adored cats, going so far as to feed his son's cat Tabby with a gold fork at White House dinners, and when asked if her husband had a hobby, Mary Todd Lincoln replied, “cats.” During the Civil War, on a visit to General Grant's headquarters in the middle of winter, he found three stray kittens in the telegraph hut. When he learned their mother was dead he made sure the kittens would be fed and a good home found for them. 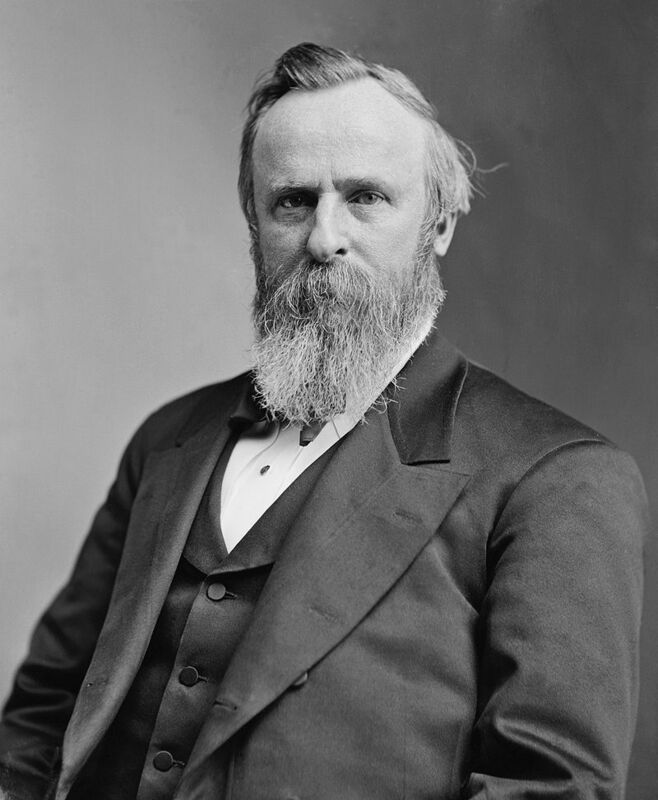 Rutherford B Hayes reportedly owned the first Siamese cat to come to the United States. Siam was a gift to Hayes and his wife Lucy in 1879 from the American Consul in Bangkok. Several months after arriving Siam became sick and despite intervention from the president's personal physician she couldn't be saved. 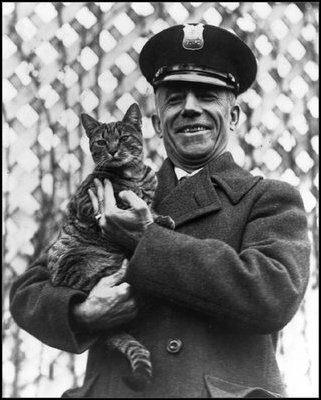 Officer Benjamin Fink holds Tige, the Coolidge's cat, at the White House on March 25, 1924. Vermont's own President Calvin Coolidge and his wife Grace practically ran a zoo! 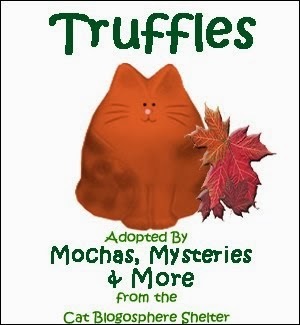 Among their many cats were Mud (no pie! ), Bounder, Smokey, Blackie, Timmy and Tige. Timmy and Coolidge's canary actually napped together! Tige traveled the White House around the President's neck and when he went missing, Coolidge appealed to the people by calling for their help on a radio address. After being found he was fitted with a special collar that contained his White House address, but after going missing a second time he was never found. Teddy Roosevelt's six-toed cat named Slippers loved to nap in the White House hallways, requiring the guests at a state banquet to detour around her on their way to the dining room! Their second cat Tom Quartz was named after the cat in Roughing It by Mark Twain. 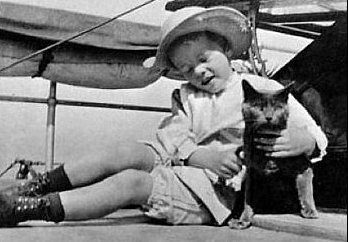 President Kennedy's daughter Caroline had to find a new home for her cat Tom Kitten (named after the beloved Beatrix Potter character) when it was discovered the president was allergic. He died at a very young age and was given an obituary in a local newspaper. While we don't know when the White House will get a new resident feline, we do know that Number One Observatory Circle (the official residence of the Vice President) has two new kitty occupants - Mike Pence's two family cats Oreo and Pickle who were photographed on a plane last week headed to their new home in Washington DC. Rumor has it poor Pickle got sick on the plane! How embarrassing. 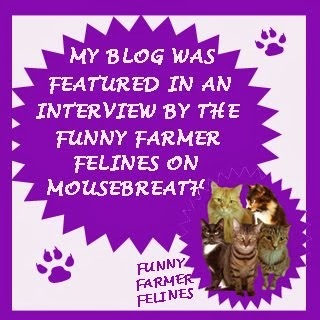 Oh, what a purrfect and fun post for today. I love that Ronald and Nancy Reagan were photographed with their torties, and we bet you did, too! It's lessons like this that make history especially fun to learn. Thank you so much for researching and sharing this with us, Mudpie and Melissa! LOVED it!! 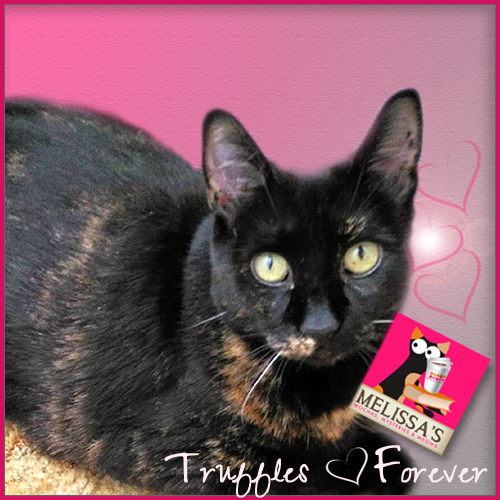 Thanks, Melissa and Mudpie. What a great look at the presidential kitties! 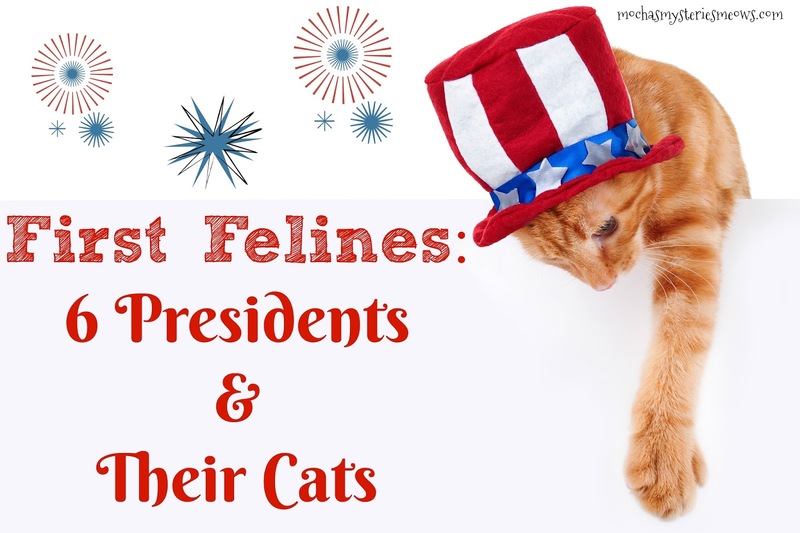 What a fun post....we had no idea about the presidential cats!! You hear a lot about dogs but never cats. Thanks for sharing. This post was such a great idea! It was about time someone wrote about the presidential cats. All great presidents- anyone with a cat is wonderful. 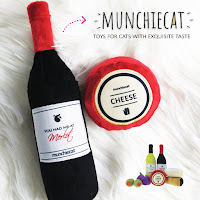 :) Great post, nice to see who has had cats. Very interesting post! I did not know that so many presidents had cats. 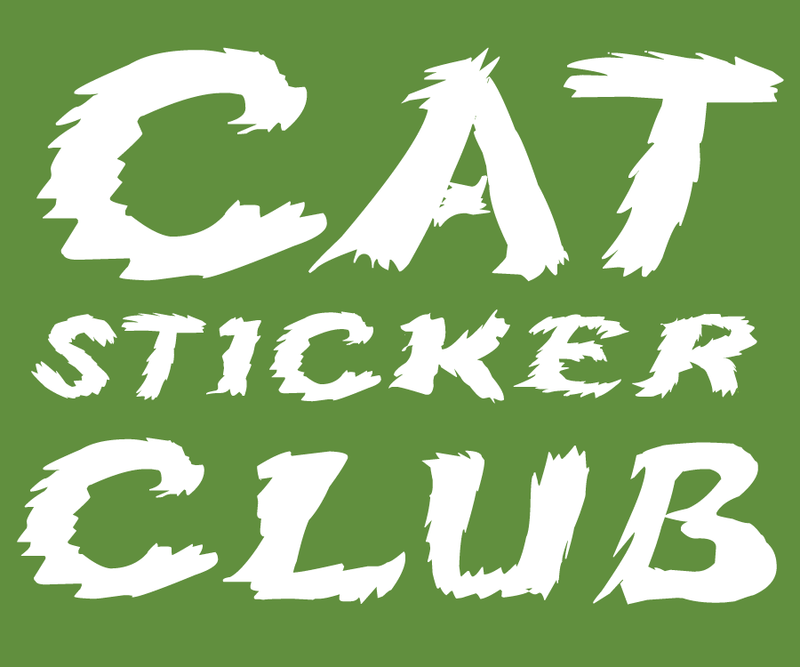 wow-great post - really humanizes them to know they were cat lovers!! We really enjoyed reading about the presidential kitties! 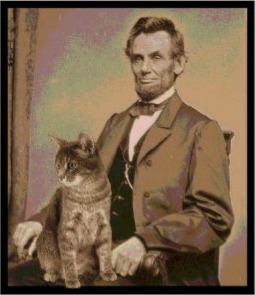 Love the story about Abraham Lincoln and his affinity for cats :D Thanks for sharing!! We think it would be fun to live in the White House. Just think of all those long hallways to run through. Oh I really enjoyed this post ! It really humanized some of those remote political figures for me...and look at the happy relaxed expression on most of their faces !! 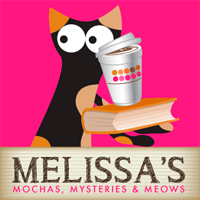 Great post Melissa !! Tickle doesn't noticeably understand words, but no doubt Heather appreciates, and will somehow relay to him, that Vice-Presidential Cat Pickle looks like him from above! Purr! Purr! And don't forget "Socks!" The Clinton's beautiful tuxedo cat! !